Pomegranates are increasingly distributed and consumed worldwide both as fresh fruit or processed products, like juices and food supplements. The present commercial success of this fruit and its purported health benefits are associated with an impressive increase of scientific research published on the pomegranate. The huge amount of new data produced every year by the scientific community necessitates a periodic review of the results. 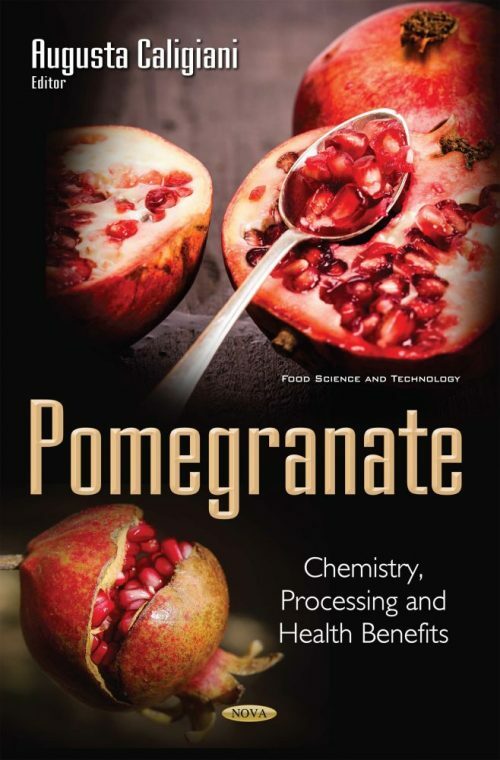 The aim of this book is to provide an update of the results in pomegranate research. Each chapter is conceived as an in-depth, state-of-the art compilation on the main topics regarding pomegranates. This is to ensure the status of a reference manual for all the scientists approaching different aspects of pomegranate research and to the industrial sector in order to improve/develop the pomegranate chain.